Getting deeper with your DAW! After getting used to the basic skills and functionality of Logic Pro X, it’s now time to dig in deeper with some of the built in software instruments, these will push your sound creation techniques to the limits. As a Logic Pro X user you have a full range of software tools that cover every method of sound creation, without exception! 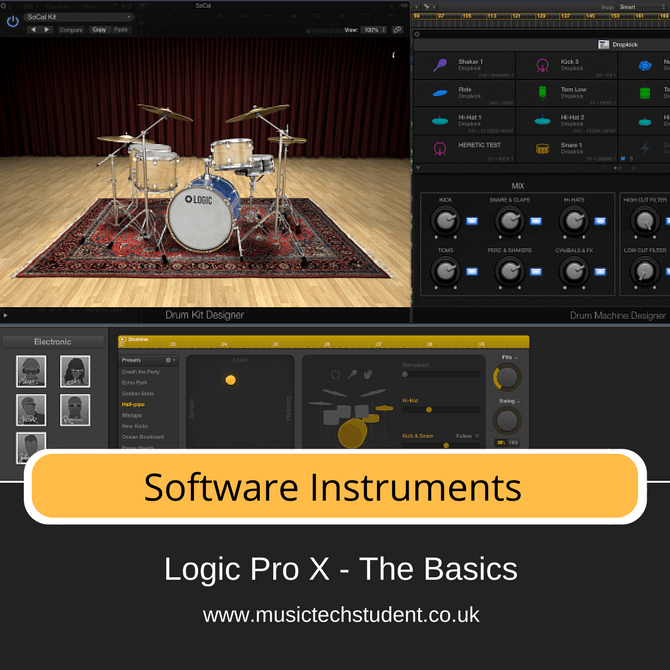 In this course, you will be introduced to the main built in software instruments for Logic Pro X and how to use these extremely powerful tools. The aim is to walk you through each software instrument, and all of its features. This course will guide you through the basic everyday tools, processes and presets. By the end, you will be able to confidently navigate your way around each of these fantastic sound generating tools.